The Monchiero family (pronounced “Mon-khee-eh-ro“) owns 25 acres of vineyard in Piedmont spread throughout the communes of Barolo and Alba. For generations the family farmed and grew grapes on the Montanello estate, outside the small town of Castiglione Falletto. In the 1950s, the brothers Remo and Maggiorino Monchiero started producing wine under their own family name. The small winery located in Castiglione Falletto was established in the 13th century and purchased by the Monchiero brothers in 1982. Vittorio Monchiero, son of Maggiorino, was trained at the renowned oenological institute in Alba and remains committed to the region’s traditional practices opposed to the flashier international style that has taken root in many of Piedmont’s cellars over the last few decades. Favoring long maceration periods with skin contact and aging in large Slavonian oak casks, Vittorio’s wines loyally express the flavors and aromas that make Piedmont’s wines unique. 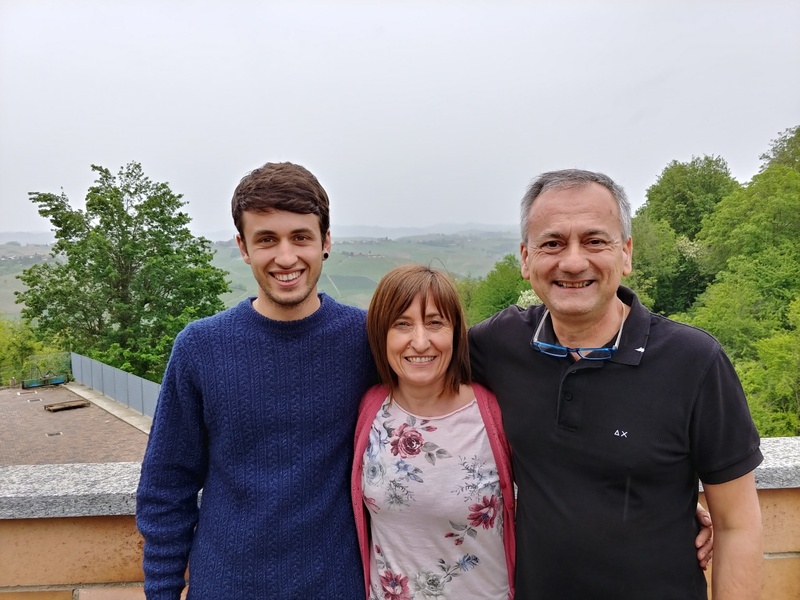 In 2017 his eldest son, Luca, joined the family winery. His youngest son, Stefano, is studying viticulture and will soon do the same.